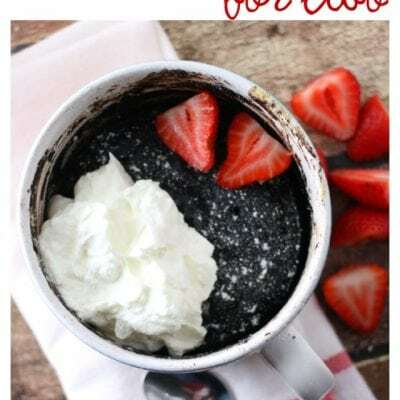 Chocolate Mug Cake is a really simple, really delicious recipe made in the microwave using ingredients you probably already have in your pantry! 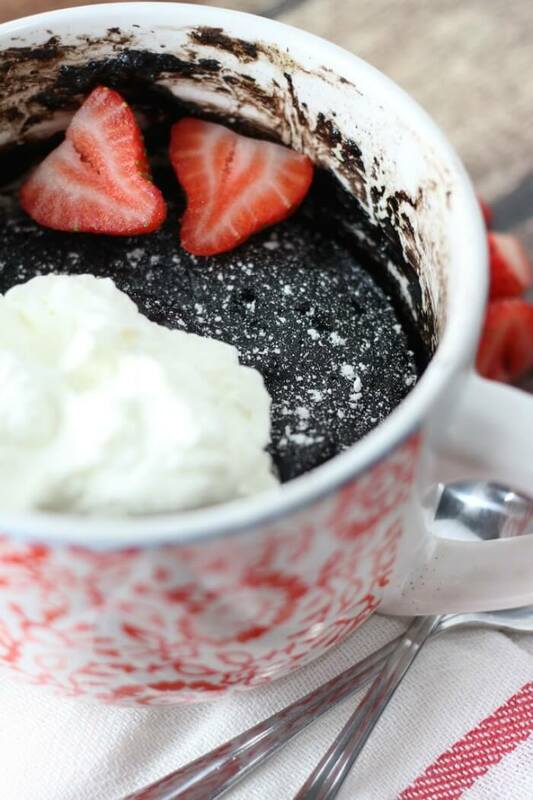 Chocolate mug cake is easy to make in the microwave and a perfect size to share with your date (or not!). 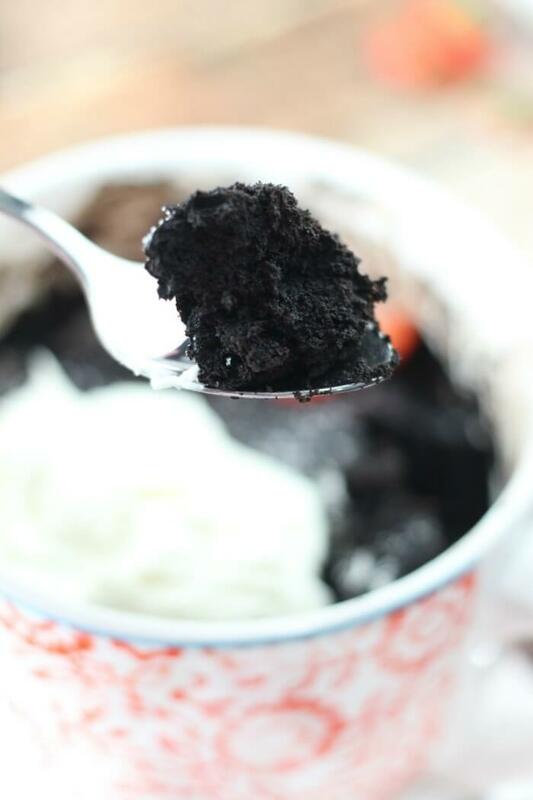 This microwave chocolate mug cake recipe will be ready in minutes! It’s nice to have a small treat that’s fast and easy, as well as being yummy. And it’s cool to make chocolate cake in a mug! Want even more decadence? Top with some ganache and whipped cream. If you want some salty to go with the sweet, crush up some pretzels for the top or pair it with a bowl of microwave popcorn in a paper bag! Powdered Sugar – Did you know you could make powdered sugar from granulated sugar? Blend 1 cup sugar with 1 teaspoon corn starch until it’s at a powdered sugar consistency! 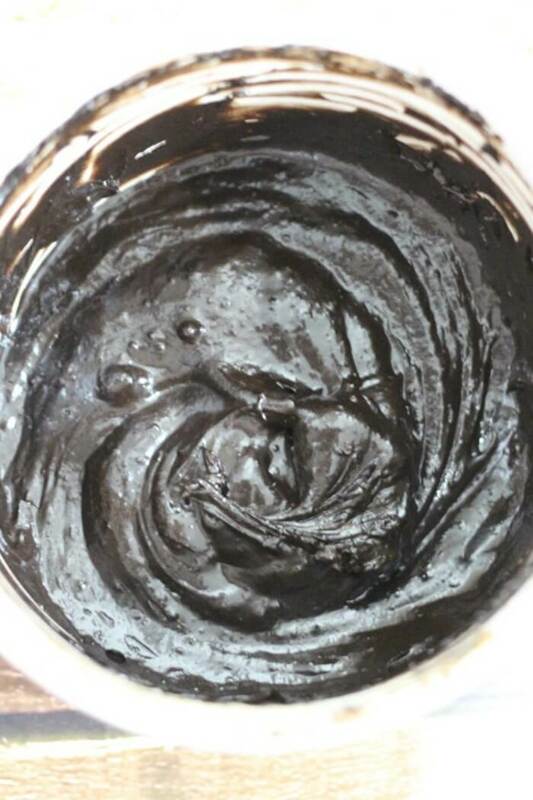 Dark Cocoa Powder – Yes, you could substitute a regular cocoa powder but you will lose some of the deep chocolate flavor. 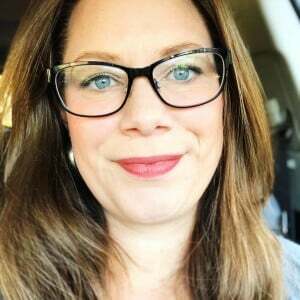 Butter – Use unsalted butter in this recipe! Heavy Cream – The cream gives this small recipe a great flavor and texture. You could use half and half or whole milk in a pinch, but you won’t get the same rich flavor. Egg – Again, don’t leave this out for best texture. Optional Toppings – Go crazy! Ganache, whipped cream, powdered sugar, fresh berries, jam, or whatever you like with chocolate. First, add all ingredients to a large mug and whisk with a fork until blended. Next, microwave on high until toothpick comes out clean. Finally, top with whatever suits your fancy (maybe some butterscotch ganache?) and enjoy! 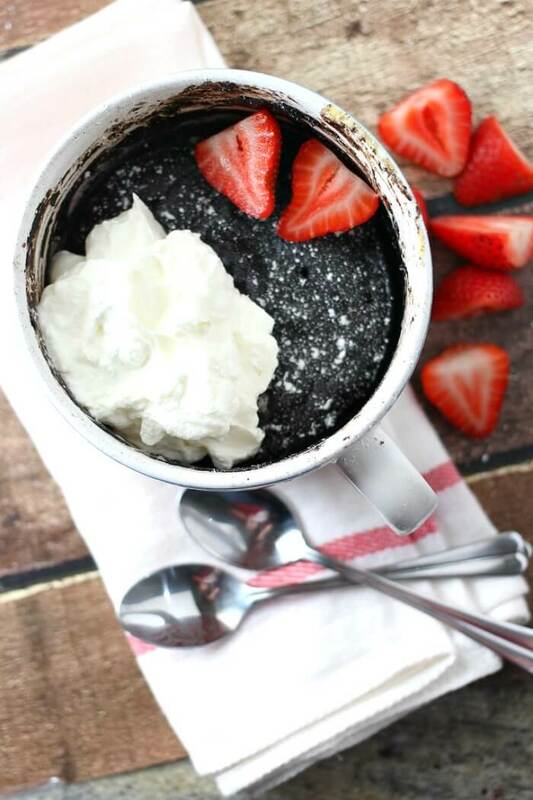 Chocolate Mug Cake is a fast and simple recipe that is made in a mug in the microwave! It will serve 1-2 people and is ready in minutes. The recipe is designed for the microwave instead of the oven so uses a different ratio of wet to dry ingredients. Yes, you could make a mug cake in a bowl or a large mug, or really anything microwavable. This recipe especially will do well in a bowl because it makes two servings. You could even use a paper cup if you can’t find anything else, but I wouldn’t recommend it. Yes, you can make a white chocolate mug cake, but it is a very different recipe. White chocolate is not actually “chocolate” but cocoa butter. You can make a mug cake a bit ahead of time, but they are so quick to make it probably isn’t worth it. However, you could premix the two dry ingredients in a jar and just add the wet ingredients when you’re ready to have a treat. A nice homemade gift could be the bagged dry ingredients in a pretty mug with directions of how to add the remaining ingredients for a sweet treat. Can I Refrigerate Leftover Chocolate Mug Cake. You can refrigerate the leftovers (if you have any!). Cover it so it doesn’t dry out. If you find that it has dried out, a splash of milk (or coffee!) might help bring it back to life. You can reheat leftover mug cake in the microwave for 10-15 seconds to warm. Be careful not to overcook. You can freeze a mug cake. Allow it to thaw in the fridge and then reheat in the microwave for 10-15 seconds. However, because these are so quick to make I would suggest just making as you want them for best taste and texture. You can use egg white instead of the whole egg. The recipe will not be quite as rich. 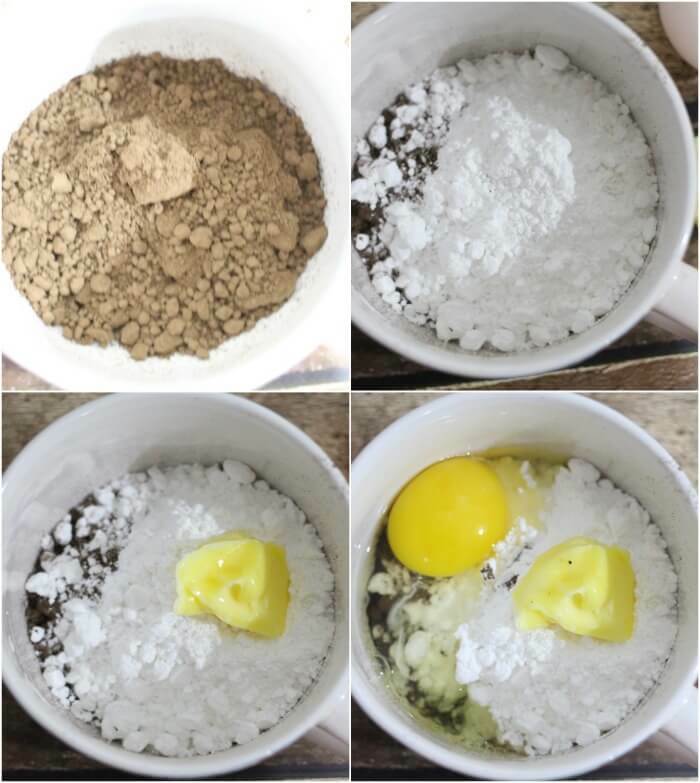 You can make a chocolate mug cake without flour. 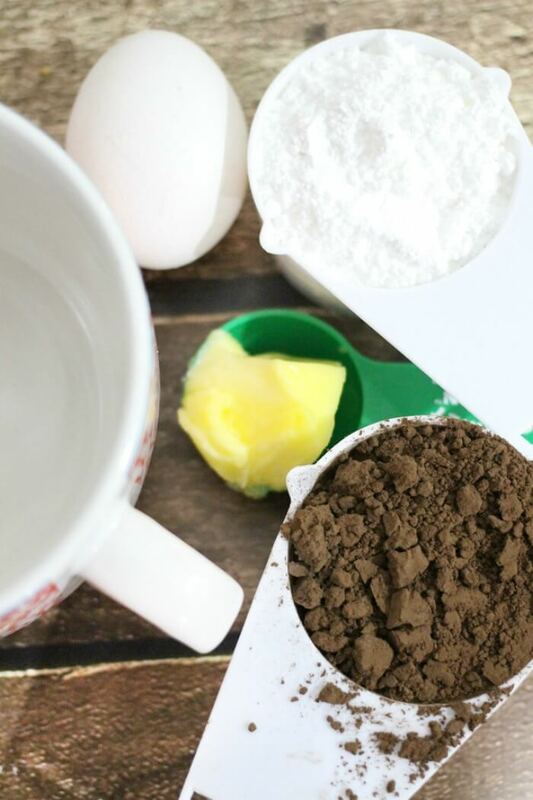 This recipe does not call for any flour and is a gluten free chocolate mug cake. The type of chocolate you use for your chocolate mug cake is up to you. I like the dark richness of the dark cocoa, but a milk chocolate cocoa would be fine. This recipe uses a dry cocoa powder, but you could experiment with melted chocolate chips (melt in microwave with the butter). If you try an alternate version, let us know in the comments! 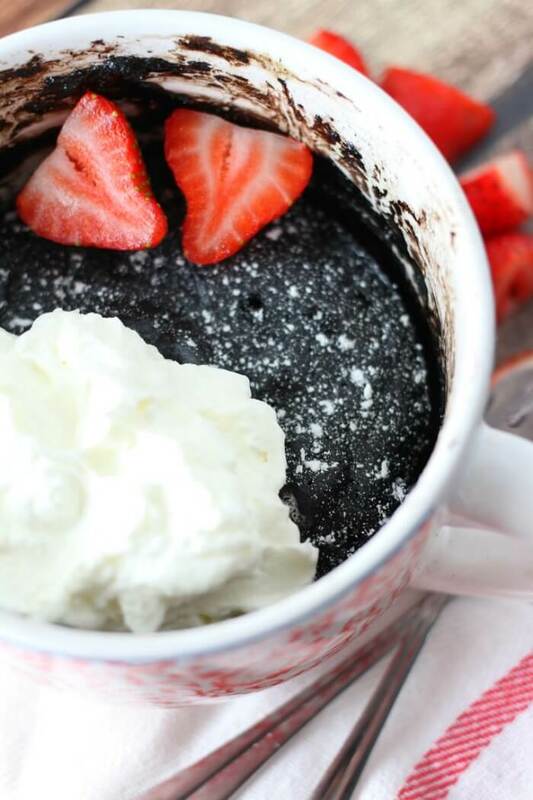 A red velvet mug cake is (basically) a chocolate mug cake with a few drops of red food coloring. If you want to try this (say for Valentine’s day or an anniversary) try using the regular cocoa instead of the dark so the color shines through. You cannot make this chocolate mug cake in the oven – it was specifically formulated and tested to be made in the microwave. You can use a variety of icings or toppings on a mug cake. A ganache is an elegant touch, or pipe on some whipped cream. For a contrast in flavors you could do a quick cream cheese icing. A sprinkle of powdered sugar and some fresh berries are an easy and pretty touch. Even a raspberry jam would be a nice addition! ★ Place a plate under your mug to prevent having to clean up a spill. No one wants their sweet treat ruined by having to clean the microwave. ★ Large eggs might make enough for 2 mug cakes. Do not use extra large eggs. ★ Fill your mug about halfway to avoid spillage. ★ Sinking in the middle is common and nothing to worry about. Whipped cream is a fabulous cover up. ★ Microwaved cakes don’t “brown” on the top. This won’t be noticeable on this dark chocolate cake but is good knowledge to have. 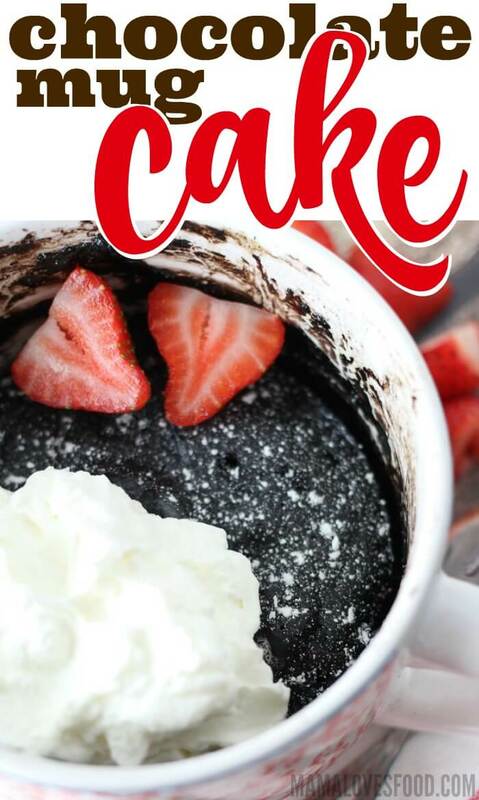 Trust me, you’re going to want to try my other mug cake recipes! Add all ingredients to a large mug and whisk with a fork until batter forms. Microwave on high for 90 seconds, until toothpick or fork comes out clean. This is perfect! I’m always looking for easy dessert options. 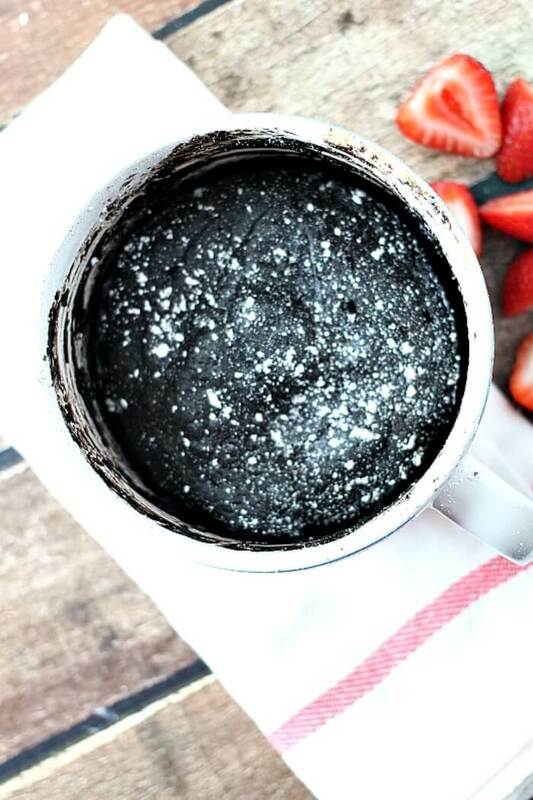 Love that this easy mug cake uses dark chocolate and is flourless! Yum!